We are excited to offer our first functional wood-working intensive! We welcome our new instructor, Abby Mechanic, as we introduce this new fine art medium. The most obvious trait of wood as a material is its linear structure. When we begin to manipulate this structure that's when the real fun begins! 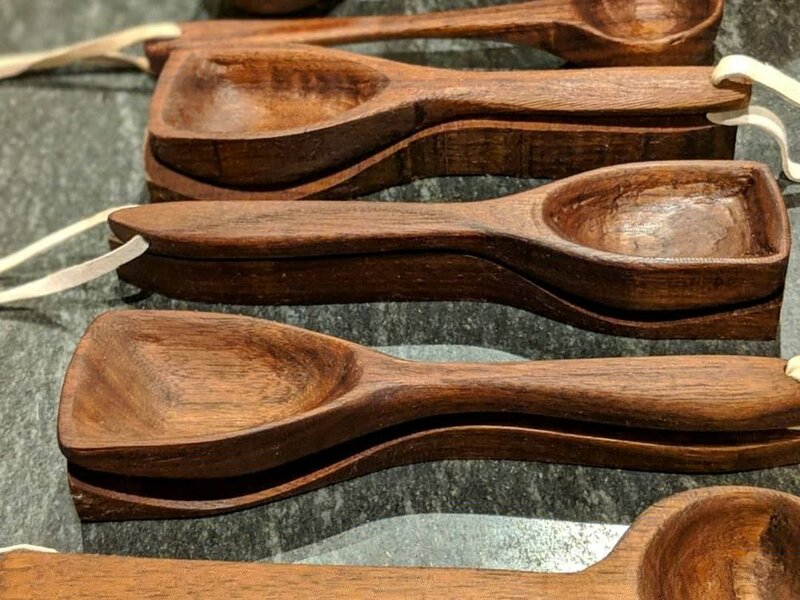 In this class Manipulating Materials // Shaping Wood, students will have the opportunity to create curves, volumes, and 3-dimensional forms out of wood while creating a one of a kind spoon or creative object. The first portion of this class will revolve around design and development of an object. We will discuss how to plan, mark, and prep material for shaping. We will begin on the bandsaw learning how to properly cut a curved form out of a solid block of wood. After finding that form, we will explore various shaping techniques with the use of hand tools. After sanding and sealing students will leave with a finished product to be proud of.